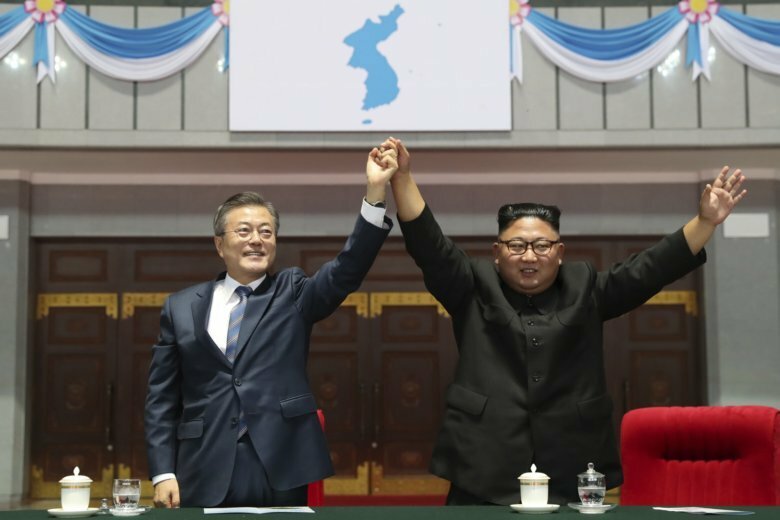 South Korea’s president says that the North Korean leader wants the U.S. secretary of state to come to Pyongyang for nuclear talks, and that Kim wants to have a second summit with Trump as soon as possible. That time is running out for Supreme Court nominee Brett Kavanaugh’s accuser to tell Congress about her claim that he sexually assaulted her when both were in high school. It started as a chain of phone calls among old high-school friends and in a matter of hours, 65 women signed onto a letter rallying behind Kavanaugh, AP learns. Thousands of frustrated and exhausted residents of the Carolinas have endured an agonizing week of violent winds, torrential rain, widespread flooding, power outages and death. Oregon Sen. Ron Wyden says his office discovered that an unspecified number of senators and aides have received warnings that their personal accounts have been targeted by foreign government hackers. Arrests by ICE of non-criminals soared 66 percent in the first nine months of this fiscal year over the same period a year earlier, while apprehensions of criminals have gone up only 2 percent. The Japanese prime minister might pursue his long-sought revision to Japan’s U.S.-drafted pacifist constitution, although hurdles remain and doing so would carry political risks. Experts say environmental change may be the reason why flying insects that aren’t really pests, like moths, lady bugs, fireflies and butterflies, are on the decline. Sin City’s newest tourist attraction features a glass bong taller than a giraffe and huggable faux marijuana plants.